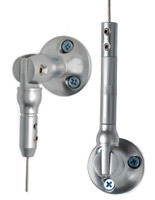 Stainless steel braided cable for durability. 16 ft. cable for making different configurations. 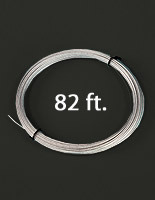 The stainless steel rope, wire cable is made to be used with our suspension kits. 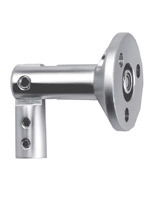 The 16' length of mounting supply is constructed from stainless steel and has a thickness of 1.5 mm. 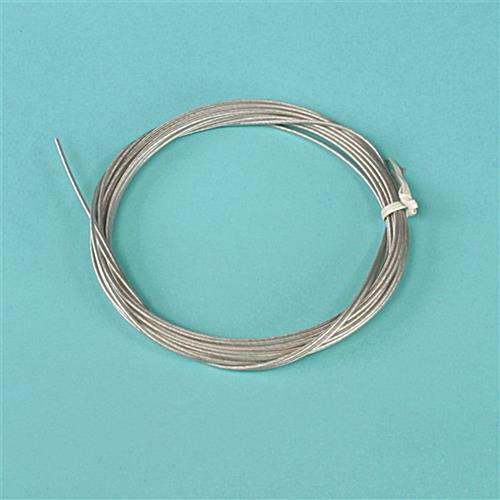 The wire cable, like stainless steel rope, is quite thin and light, but it is designed to be sturdy. 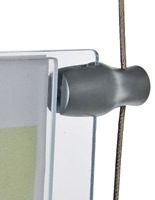 The mounting accessory is manufactured to showcase poster holders and brochure displays in order to many different layouts. This wire cable will create custom made suspension exhibits hanging from the ceiling or against a wall. 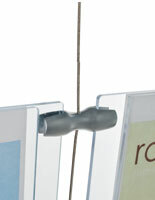 Hang artwork, promotions, and graphics using this galvanized rope. The wire cable in 16' sections provides enough reach to be able to mount to ceilings that are vaulted. 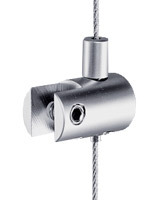 The stainless steel rope will give a stable and secure mount for overhead installations. 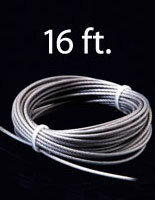 This wire cable is very durable and will last for years and years. 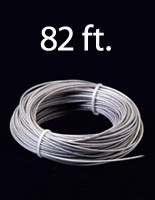 This hanging supply is available in 82' rolls in addition to this smaller size. The wire cable is braided for extra durability, as shown in the picture to the left. The stainless steel rope will help conserve space when used to design a custom ceiling display! We are unable to accept orders for less than 8 units.